New research is shedding light on how mechanically placed sand on San Diego County beaches moves and its potential impacts. The study, published in the journal Coastal Engineering, could help planners develop beach nourishment projects that will reach their intended goals without causing unintended problems. North San Diego County for instance is planning a 50-year, $160 million series of beach nourishments intended to combat flooding and erosion, and provide recreational space for tourists. The new study, conducted by researchers at the Scripps Institution of Oceanography at the University of California, San Diego, and funded in part by California Sea Grant, analyzed four beach nourishment projects in San Diego County to see how they fared in the years after the nourishment. It provides a better understanding of how nourishment sand moves in response to waves and currents, which could provide insight for more effective beach nourishment projects in the future. "There's a lot that is not known about how sand moves," says Scripps postdoc Bonnie Ludka, who led the study. "If you put sand on a beach, it won't just stay in one place. The question is, how long does it stay where you want it? And as it moves, where does it go?" 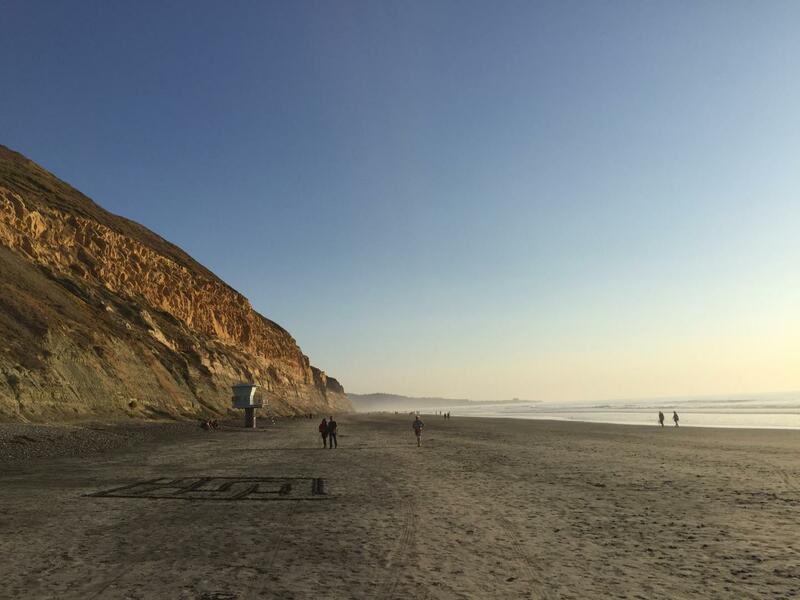 For example, sand placed on Torrey Pines beach north of San Diego in 2001 washed away in a single storm. Nourishment sand can also lead to other unintended consequences, as happened at Imperial Beach, the site of the largest beach nourishment in the study. There, 138 Olympic sized swimming pools worth of sand were added to the beach in autumn of 2012. The sand moved both north and south along the coast, and in 2016 contributed to the closure of the Tijuana River estuary. The river lost its connection to the ocean, leading to extremely concentrated pollution and hypoxia-loss of oxygen in the water that can cause die-offs of fish and other aquatic species. "These data allowed us to compare the behavior of the nourished beach with how the beach behaved during unnourished times under similar wave conditions," says Ludka. The researchers also identified a pattern in sand movement that followed the prevailing ocean currents in the area-in winter, the piles of sand stretched southward, while in summer, the sand moved to the north. Overall, the southerly movement won out, and at Imperial Beach contributed to the clogging of the Tijuana Estuary, a couple kilometers south of the placement region. Ludka says "We're still a long way from being able to predict or model how these nourishments will evolve." But the careful observations provided in this study give a good first indication of how future projects might fare. Why are sand nourishments needed in the first place? For one thing, climate change is bringing higher sea levels, which could drown beaches if they aren't able to retreat landward, whether due to an inability of the beach to adjust or existing infrastructure. Natural or living shoreline projects that build up or restore beaches and marshes are gaining attention as a way to build resilience in the face of rising seas. In addition, sand is a limited resource on California beaches. Ludka explains that sand on beaches tends to come from two places-rivers and eroding cliffs. Dams and cliff stabilization projects have stifled sand contributions from both of these sources. She explains, "The sand budget is like a bank account. The ocean is always making withdrawals. If you don't add sand back into the system, the beaches will disappear." The researchers also note that California has been adding sand to beaches for decades, and in many cases the wide sandy beaches we know were created artificially by the addition of sand dredged from harbors or other construction projects. Ludka says, "In the future, we might have to make difficult decisions about where we invest in sandy beaches, and where other beaches are left to their fate determined by rising seas and limited sand supplies." This study received funding from the United States Army Corps of Engineers, California Department of Parks and Recreation, Division of Boating and Waterways, National Science Foundation, and California Sea Grant. NOAA's California Sea Grant College Program funds marine research, education and outreach throughout California. Our headquarters is at Scripps Institution of Oceanography, University of California, San Diego; we are one of 33 Sea Grant programs in the National Oceanic and Atmospheric Administration (NOAA), U.S. Department of Commerce.